Discover the Kingdom of Thailand from the lively streets of the capital of Bangkok to the ancient ruins of Sukhothai and the hill tribes of Chiang Rai with a colorful mix of night markets, historic WWII sites and bathing elephants thrown in! This morning we visit the spiritual and religious heart of the city – the striking Grand Palace. Topped by golden stupas, the complex has been the site of royal coronations and is home to the legendary Emerald Buddha. We’ll also visit the House of the Reclining Buddha, the Original Thai Massage School and the 24hr Flower Market before boarding longtail boats to explore the city’s canals. Known as khlongs, the canals enable surface water to make its way to the sea and have long been a way of getting around Bangkok. On our journey we’ll glide by curious stilted houses and gleaming temples whilst old men fish and children folic about on the waters edge. 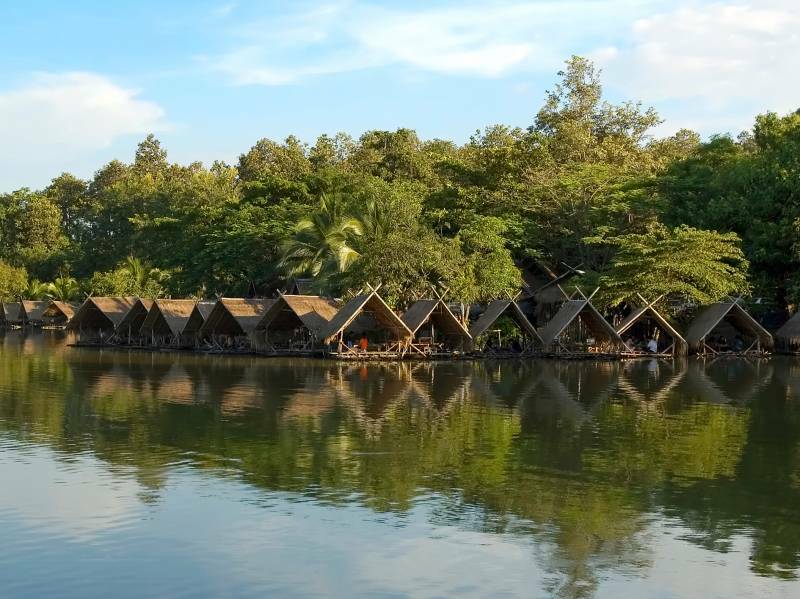 Bangkok – Kanchanaburi. It’s an early start today as we drive 2.5hrs west of the capital to the small town of Kanchanaburi. Here we pay our respects to the thousands of Allied POWs who perished in the area under the hand of the Imperial Japanese Army. 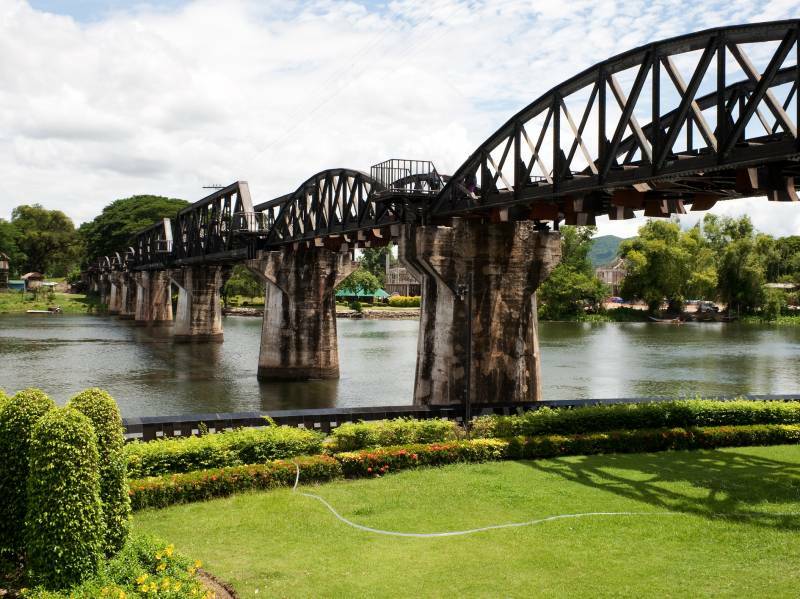 After pausing at the Allied War Cemetery we continue to the infamous ‘Bridge over the River Kwai’, immortalised by the film of the same name. You have a chance to take pictures before you board a train for a 2 hour journey that crosses the bridge before following the tracks dug by the POWs and locals some 75 years earlier. 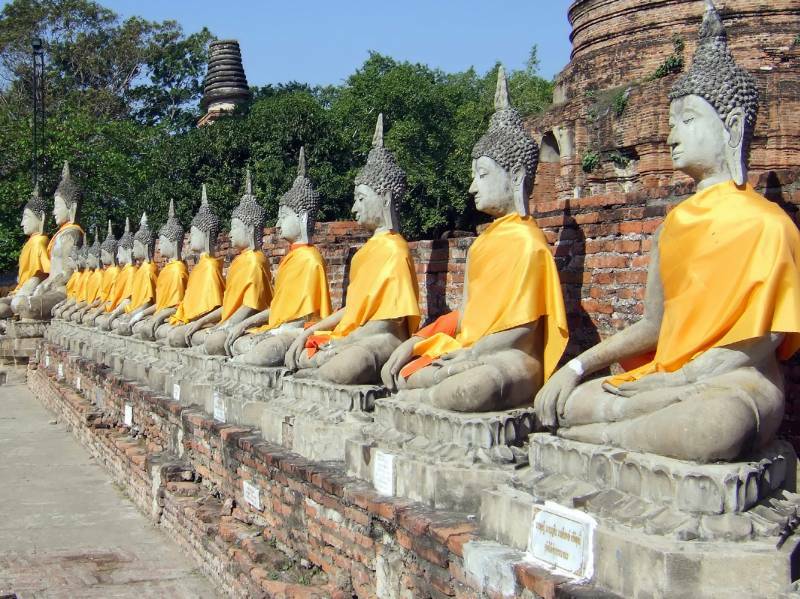 Sukhothai – Lampang. This morning we explore the UNESCO-listed Sukhothai Historical Park with monuments dating back to the 13th century that illustrate the beginnings of Thai architecture. The entire complex contains 193 ruins spread over 70 sq km of land with a city wall forming a neat rectangle. Lampang – Chiang Mai. After breakfast we head to the nearby Thailand Elephant Conservation Centre. 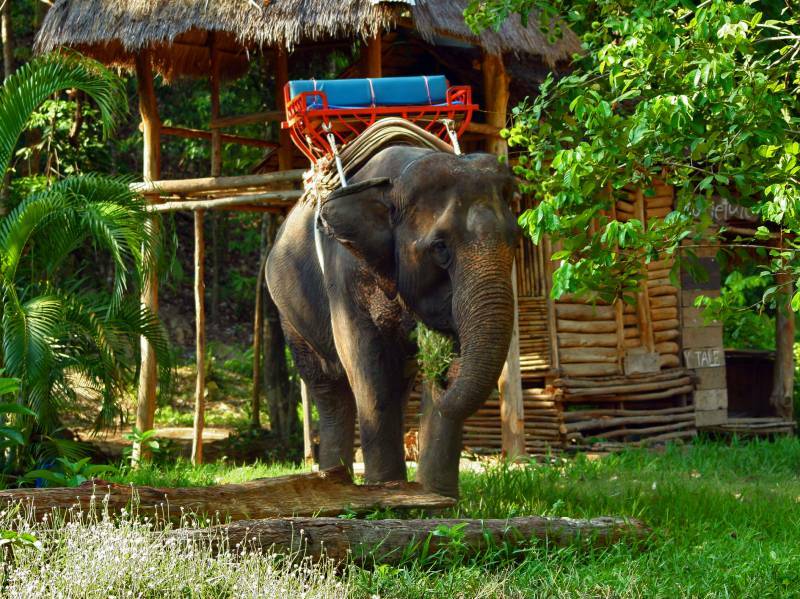 Founded in 1933 the centre is home to over 50 Asian elephants in a beautiful forest and visitors can watch the daily bathing session before enjoying a ride through the forest on one of these magnificent creatures. Chiang Rai – Bangkok. 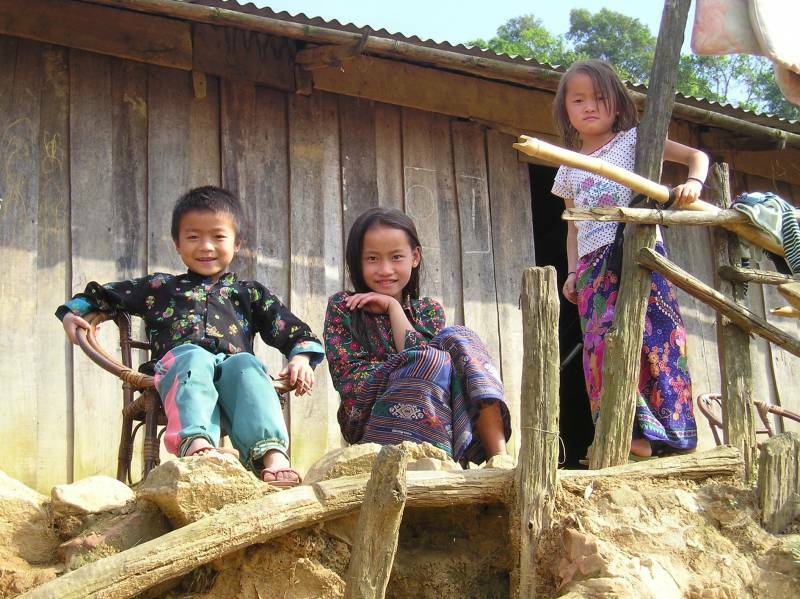 The city of Chiang Rai is a great base for visiting local hill tribes and this morning we visit a Karen village where we may encounter the famous Long Neck tribe, so known for the neck rings that the women wear to elongate their necks. Continuing to the border frontier town of Mae Sai, we may have the chance to cross briefly into Myanmar and enter the Burmese town of Tachilek (optional). At Chiang Saen we stand at a viewpoint that lets us see both Myanmar and Laos. We take time to visit the Opium Museum before returning to Chiang Mai to catch our flight back to Bangkok.